These postcards were made for the Houston Packing Company, a local meatpacking company which included a canning factory. 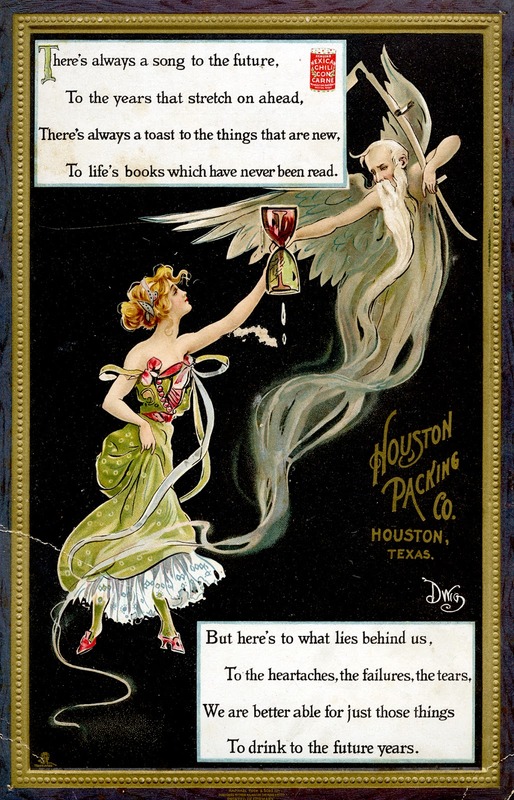 They were printed in Germany by the publisher Raphael Tuck & Sons. "Friend of my soul! 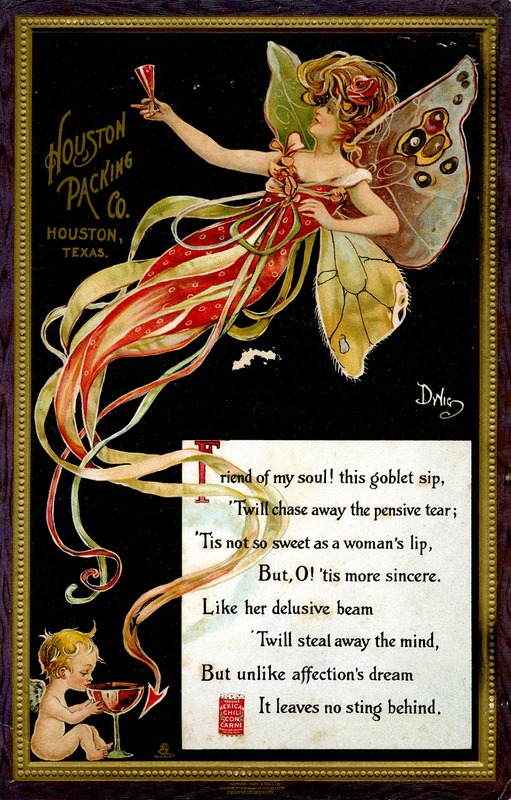 This goblet sip...." (1905) Special Collections, University of Houston Libraries: http://hdl.handle.net/1911/36995. 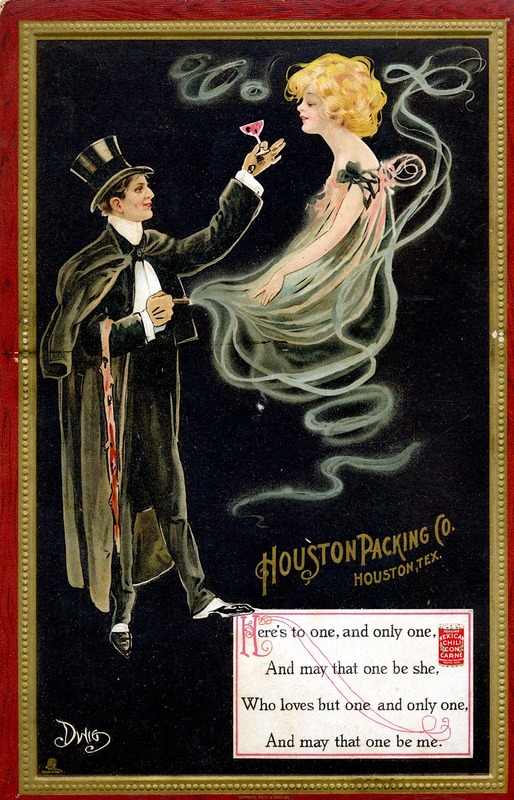 "Here's to one, and only one,...." (1905) Special Collections, University of Houston Libraries: http://hdl.handle.net/1911/37051. "There's always a song to the future." (1905) Special Collections, University of Houston Libraries: http://hdl.handle.net/1911/37001. 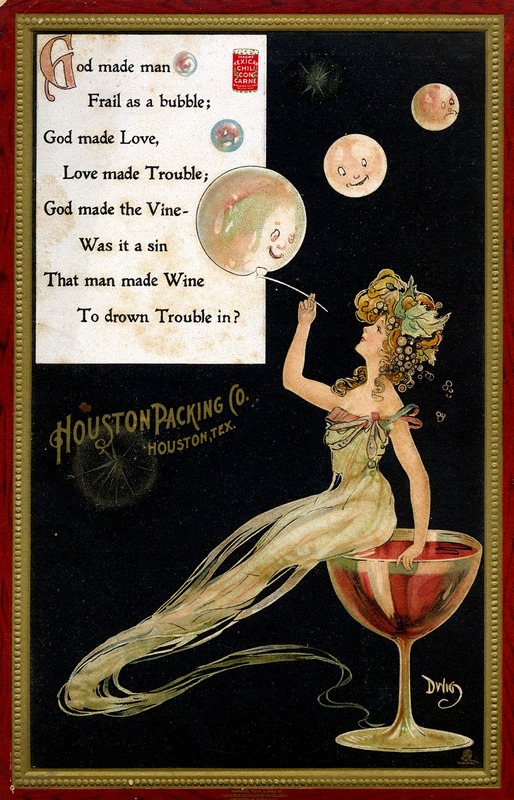 "God made man Frail as a bubble...." (1905) Special Collections, University of Houston Libraries: http://hdl.handle.net/1911/36937. 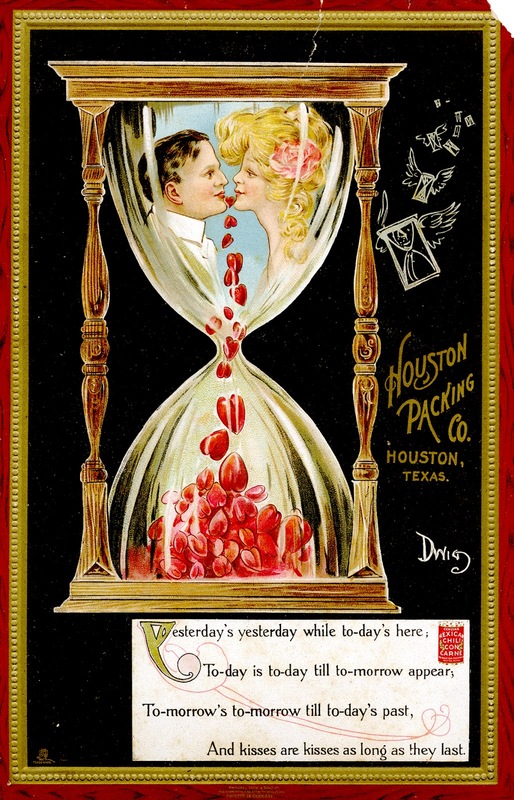 "Yesterday's yesterday while to-day's here...." (1905) Special Collections, University of Houston Libraries: http://hdl.handle.net/1911/36945. 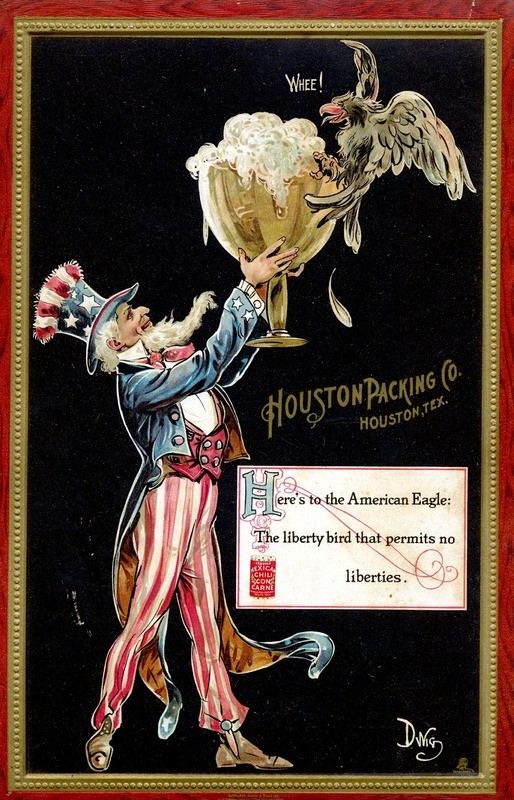 "Here's to the American Eagle:...." (1905) Special Collections, University of Houston Libraries: http://hdl.handle.net/1911/36959.